A total of 13,194 applications for 824.9 million shares with a value of RM296,97 million were received from the public for 12.5 million new shares made available for public subscription, said Tricor Investor & Issuing House Services Sdn Bhd. The Bumiputera portion saw 6,773 applications for 388.2 million shares, representing an oversubscription rate of 61.11 times, while the remaining Malaysian public portion attracted 6,421 applications for 436.7 million shares, giving an oversubscription rate of 68.88 times. Besides the 12.5 million shares for the public, Eversafe’s public issue of 48 million shares also include 11.5 million shares for directors, eligible employees and persons who had contributed to the success of the group. This portion was fully subscribed, Tricor said. It added that 24 million new shares and six million offer shares available for application by way of private placement to institutional and selected investors have been fully placed out. Also fully placed out were 24 million offer shares available for application by way of placement to government-approved Bumiputera investors. Tricor said notices of allotment will be dispatched to all successful applicants by April 19. Mercury Securities Sdn Bhd is the principal adviser, sponsor, sole underwriter and sole placement agent for the IPO exercise. 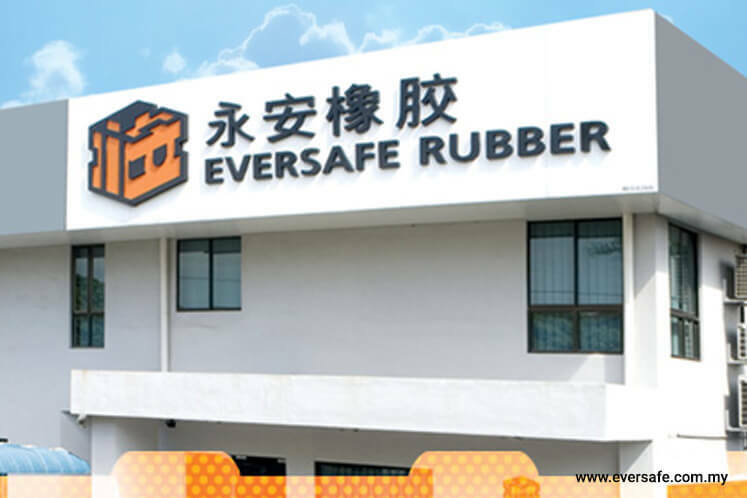 Eversafe Rubber's is mainly involved in manufacturing and distributing tyre retreading materials.